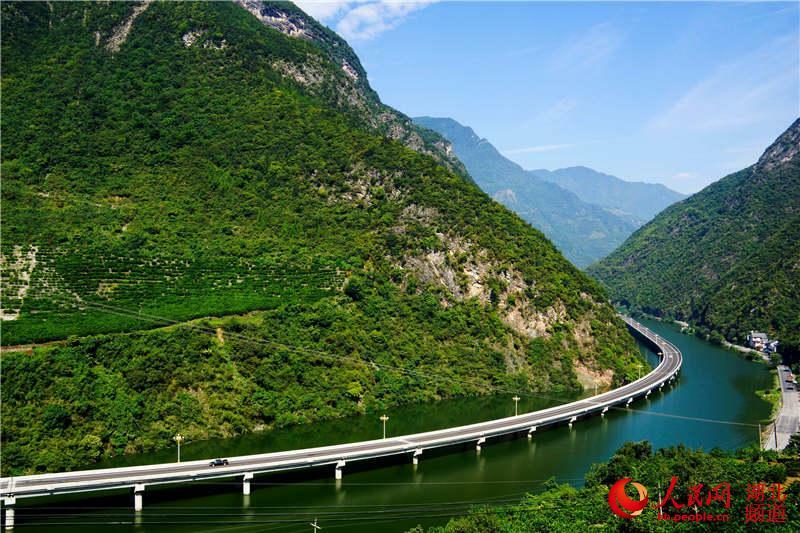 To avoid destroying a forest, authorities have built a 10.9-kilometer road linking Gufu to Zhaojunqiao in Xingshan county, Central China's Hubei province, that completely bypasses the nearby mountain. 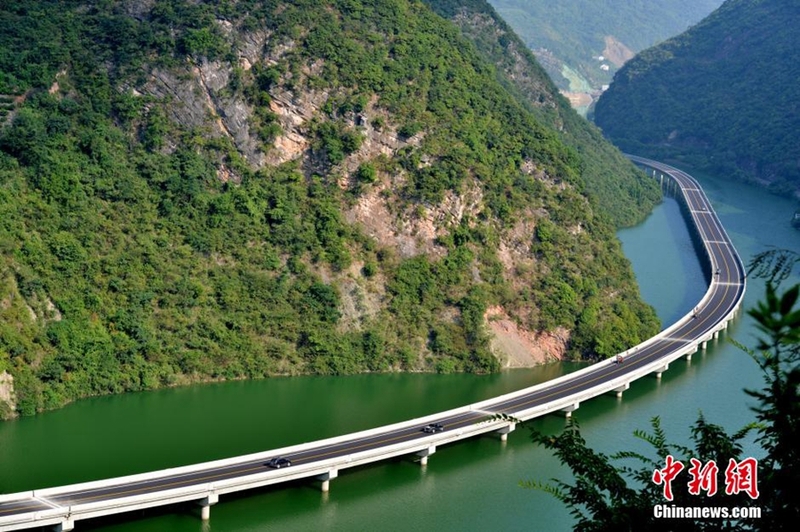 Two stretches of the project are two bridges, altogether 4.4km, built over two rivers. 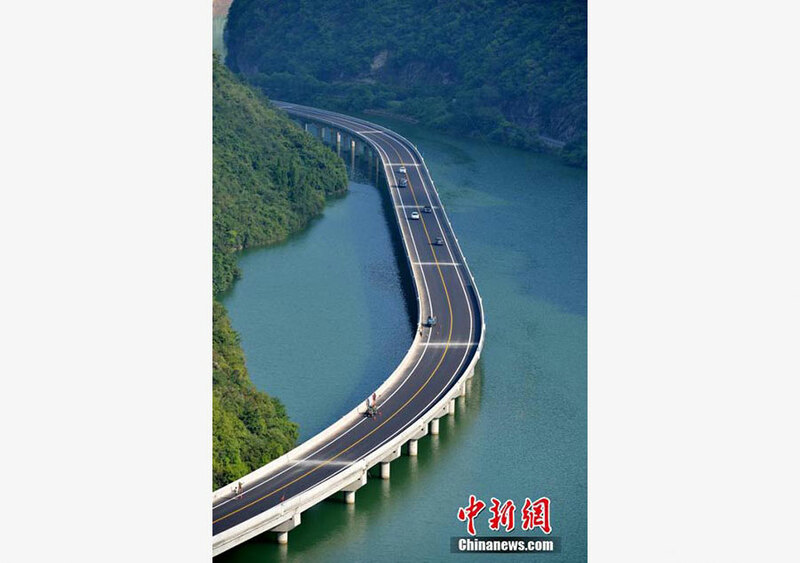 It has been dubbed "road on water". 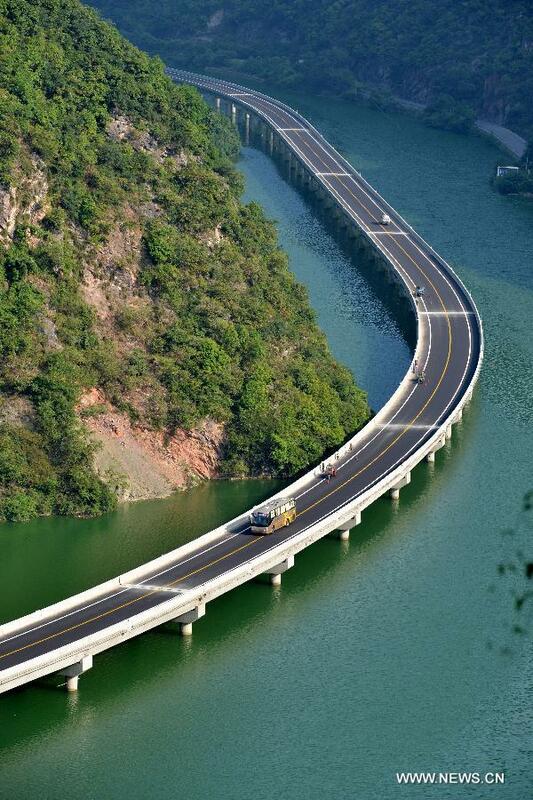 With beautiful landscape around it, the project is also called "the most beautiful road on water". 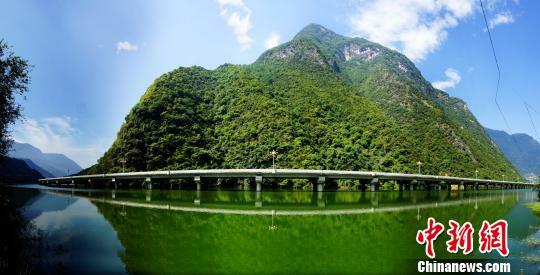 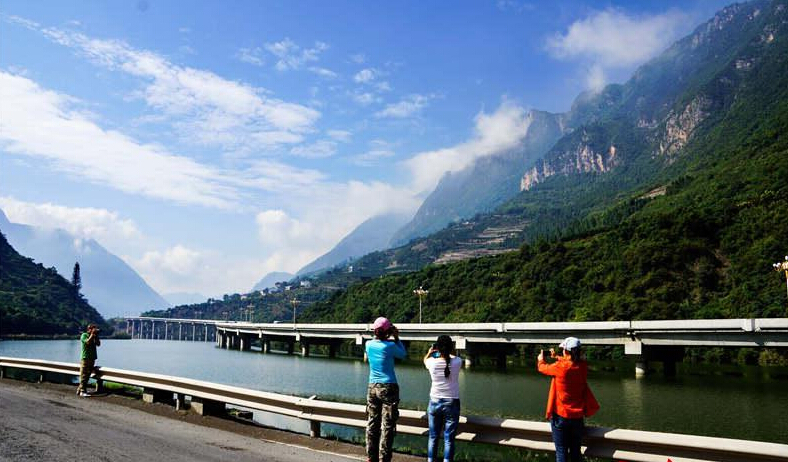 A large number of tourists and photographers drove to see "the most beautiful overwater highway" located in Xingshan county in central China's Hubei province on Monday @ 14 Sep 2015. 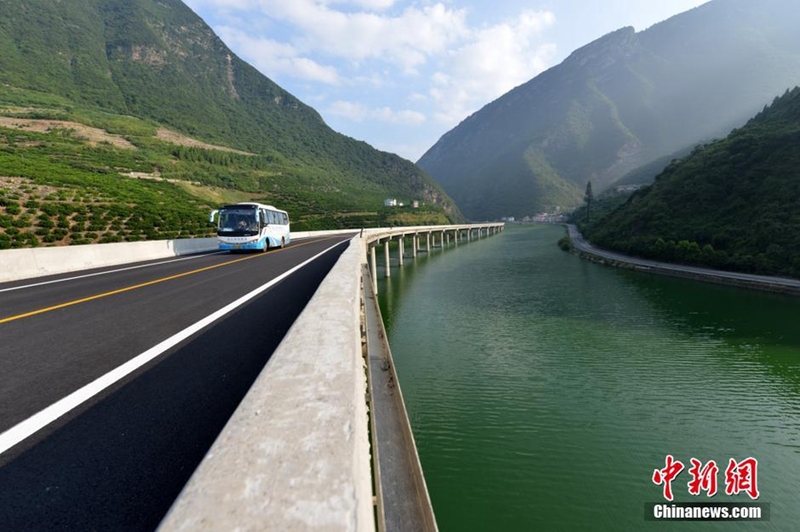 The highway has become a new tourist attraction. 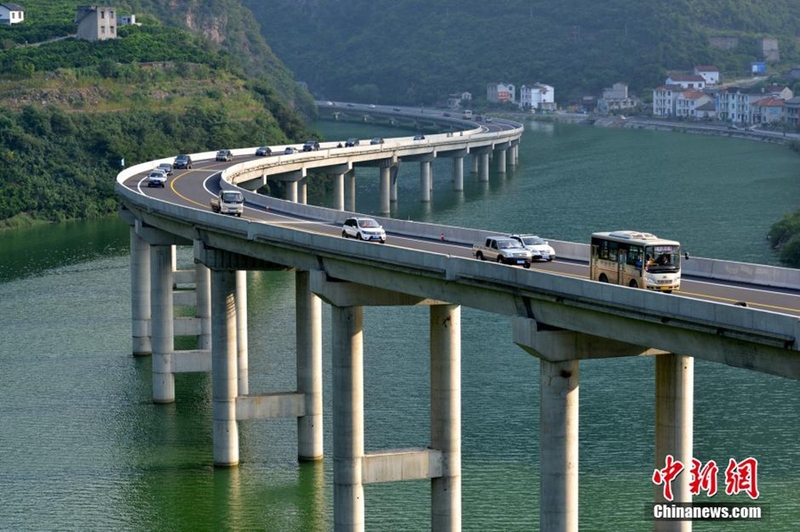 English-medium civil Engineering in China.